Winter is considered to be the worst season for residential fires in the country. 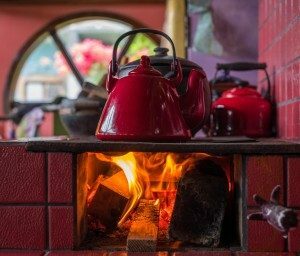 Heating for the home is the second leading cause of home fires only following cooking. Whether you are using a space heater, fireplace, wood stove, furnace, or kerosene heater, here are some safety tips that can prevent your home from any dangers of fires or other heating related issues. Use fireplace screens to prevent sparks or embers from jumping out of the fireplace. Never leave the fireplace unattended, put out the fire before you sleep or when leaving the house. Ashes should be disposed of 3-4 feet away from the house with a closed lid. Bedding, clothes or curtains should be at least 3 feet away from the space heater. Make sure that the heater has an automatic turn off function in the event of the heater tipping over. Heaters should be turned off when you go to sleep or leave the house. Plug the heater directly into the wall outlet instead of plugging it in an extension cord. Furnaces should be inspected each year. Keep away any flammable objects away from the furnace at all times. Inspect your chimney before using it for the first time during the season. Do not try to burn paper in the wood stove. Keep the wood stove 3 feet from anything that can catch on fire. For fire remediation and clean-up services call Flood Fire Pro Inc. and schedule a consultation. Flood Fire Pro handles ALL of your water damage, fire restoration and flood repair cleanup services. Call us today!